Prague Castle is an immensely important cultural institution, a UNESCO World Heritage site, and an ancient emblem of the Czech Republic. Visiting this unique monument is an excellent way to connect with the Czech people and learn about the history and culture of their country. Presumably established in 880 by Prince Bořivoj, Prague Castle occupies an area of almost 70,000 m². As such, it entered the Guinness Book of World Records as the largest ancient castle complex in the world. It encompasses a number of structures, including palaces, gardens, halls, towers, religious edifices, etc., of various architectural styles, such as Romanesque, Gothic Renaissance, and Baroque. Malá Strana, or Little Side (of the River), or officially ‘Lesser Town of Prague’, is one of Prague’s most historic regions that was home to numerous palaces. The centre of Malá Strana is Malostranské náměstí, or Old Town Square. Baroque architecture became the prevailing style in the district after it was destroyed by fires in 1541. The most famous building of the Baroque Era is the elaborate Wallenstein Palace, with its fascinating exterior and opulent interior. Other places you can visit here include churches, streets in which celebrated writers and composers lived, and the famous Petřín Lookout Tower – a 63.5-metre-tall tower that strongly resembles the Eiffel Tower. For a fairy-tale-like experience, you ought to visit the Old Town Square – a historical square located between Wenceslas Square and the Charles Bridge. It is a busy place, full of shops, pubs, cafés, and restaurants. 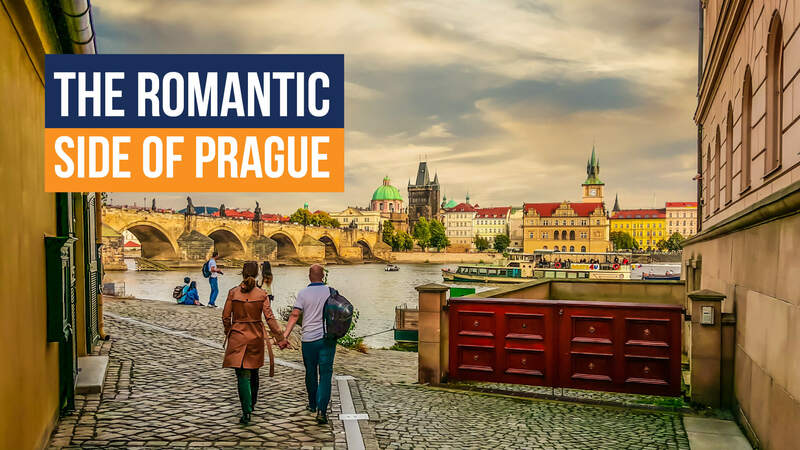 You will find structures in various architectural styles here, including the Gothic Church of Our Lady before Týn, the Old Town Hall, the Baroque St. Nicholas Church, art museums, important statues and monuments, etc. Prague Orloj is also here – the third-oldest astronomical clock and the oldest one in the world still functioning, installed in 1410. Also, Christmas and Easter markets in Old Town Square are visited by hundreds of thousands of people. St. Nicholas Cathedral is one of the most famous sights in Prague, admired by all its visitors, religious or not. It is a Baroque church located in the Lesser Town of Prague, built between 1704 and 1755 on the site of a 13th century Gothic church dedicated to Saint Nicholas. Its Baroque architecture is marvellous, but its interior is fascinating as well, decorated with frescos and sculptures. The Cathedral is home to the Baroque organ that has over 4,000 pipes up to 6 meters in length and that was played by Mozart in 1787. The 79 meter-tall Rococo belfry offers an extraordinary panoramic view. Speculum Alchemiae is a tranquil, but thrilling museum located in one of Prague’s oldest historical buildings that survived the demolition of the Jewish quarter between 1893 and 1913 and that is now a World Heritage Site. Here, you can explore the secrets of the Old City’s alchemist society that was examining the mysteries of nature, and learn more about the link between their medieval research and various modern scientific fields. Visitors can see the places where alchemists sought to produce the elixir of life / the philosopher’s stone, and attempted to turn base metals into gold. To truly experience Prague, you ought to climb one of its towers, such as St. Henry Tower – a 65 meter-high belfry of the Church of Saint Henry on Senovážné Square. The Tower gives its visitors a 360° view of this magnificent city. It has air-conditioning, lighting, and a high speed lift, in addition to coffee shops, restaurants, and toilets. Take the lift to the top, but walk down to explore the tower. Enjoy the remarkable observatory on the 10th (last) floor, and see the restored historical bell Marie, the tower clock, and a chime made of ten bells that plays hundreds of melodies. Overlooking the Vltava River, stands a magnificent structure and a national monument of Czech history – the National Theatre – celebrated as the alma mater of Czech opera. It is a symbol of Czech national identity, art, and language. The construction began in 1868, producing a breath-taking exterior and an equally stunning interior, which include Neo-Renaissance style and Slavic mythology. Today, the National Theatre is comprised of four artistic companies: the Opera, Drama, Ballet, and Laterna magika. It manages four stages: the Estates Theatre (1783), the National Theatre (1883), the State Opera (1888), and the New Stage (1983).